Our young people's potential is limitless. Let's make sure their futures are. When you’re young, life is defined by being in between. Between childhood and adulthood. Between school and work. Between who you are, and who you could be. While governments are beginning to recognize the importance of investing in human capital, in the gap between our present and our future, young people are falling through the cracks. Right now, the world is home to 1.8 billion young people, one third of the population. They are the largest generation in human history, and they’ve been born into the middle of unprecedented changes that threaten to undermine their prospects forever. Right now, the world is home to 1.8 billion young people, one third of the population. They are the largest generation in human history, and they've been born into the middle of unprecedentled changes that threaten to undermine their prospects forever. Increased automation, changing migration patterns, and the rise of new technologies demand that young people acquire an entirely new set of skills or face economic exclusion. Many adolescents, especially those in the Global South, now find themselves caught between stagnating development on the one hand, and radically accelerated development on the other; between a world of seemingly limitless innovation, and one where 200 million young people are still out of school. Enter Generation Unlimited, a global partnership that connects education and training to the employment needs of the future, enabling adolescents everywhere to become engaged and active members of society. A collaboration between governments, civil society, the private sector, UN agencies and young people themselves, Generation Unlimited aims to tackle the generational crisis holding millions of young people back, and help them reach their full potential. It works in countries across the world identifying opportunities for cross-sector investment and policy change at the national level, activating financial and political capital to scale up innovation and successful initiatives to help young people transition into work. Generation Unlimited [is] a global partnership that connects education and training to the employment needs of the future, enabling adolescents everywhere to become engaged and active members of society. But a challenge of this scale requires significant dedication, and a broad-based mobilization of partners with significant resources, which is why we are so pleased to announce a groundbreaking billion-dollar collaboration with the World Bank on skilling and jobs for young people. In alignment with Generation Unlimited, this investment will enable a wide range of interventions for training, job matching and entrepreneurship, and help bring them globally to scale. With Generation Unlimited’s investment, many such solutions are already underway. In Argentina, rural schools use digital technology to connect isolated classrooms with teachers and educational material, meaning teens with no previous access to secondary education are now qualifying for university. 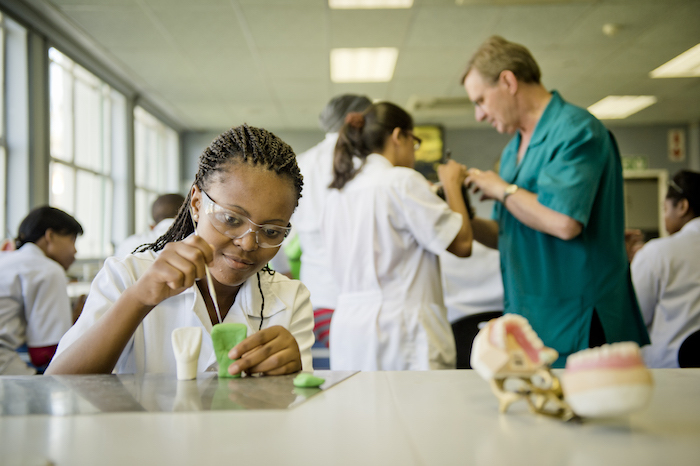 In South Africa, the STEM job shadowing program TechnoGirl places young women in the offices and labs of leading scientists. 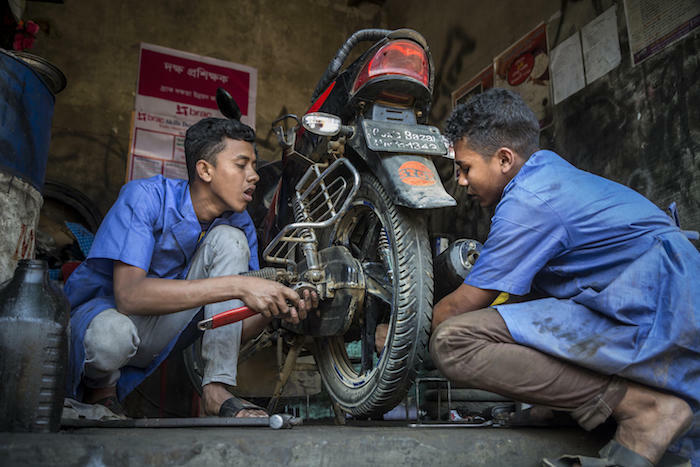 And in Bangladesh vocational training for vulnerable youth in Bangladesh helped 30,000 young people, some of them Rohingya refugees, to learn locally relevant trades like tailoring and mechanics. The Youth Challenge program saw 80 teams of young people from 16 countries receive training and seed funding to launch their own initiatives based on their local context. Moreover, we are working to create the right enabling environment for young people by accelerating the potential of a handful of promising ideas. A young person’s potential can often come down to whether he or she is connected to the internet, for example. Up to a third of the global population are not online. In some countries, it’s much worse than that — with up to 95% unconnected. What would it take to connect all young people to the internet? What would it take to provide renewable energy to all off-grid schools? And let’s not stop there: How could we modernize secondary school curriculum? How could we provide young people with the skills they need for jobs in rapidly growing sectors, such as the green economy and the digital economy? How could we harness the data of job matching platforms to shorten the feedback loop between employers and educational providers? These the types of questions that Generation Unlimited is asking, and we’re bringing together industry leaders to help us answer them. This is what Generation Unlimited is all about, tapping the potential of young people everywhere, so they can improve their societies and their lives. This is what Generation Unlimited is all about, tapping the potential of young people everywhere, so they can improve their societies and their lives. A massive generation is about to inherit our world. It is our duty to leave them a legacy of hope and opportunity, and to work with them to achieve it. Operating at its full potential, this generation can achieve the Sustainable Development Goals and transform the global economy. But it’s our responsibility to help them get there, because being young isn’t just about being in between, it’s about becoming the best you can be. 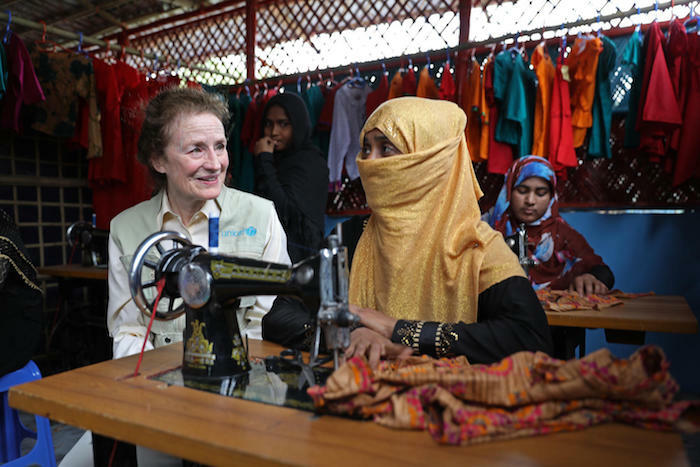 Henrietta H. Fore is the Executive Director of UNICEF, the United Nations children’s agency. She has worked to champion economic development, education, health, humanitarian assistance and disaster relief in a public service, private sector and non-profit leadership career that spans more than four decades.